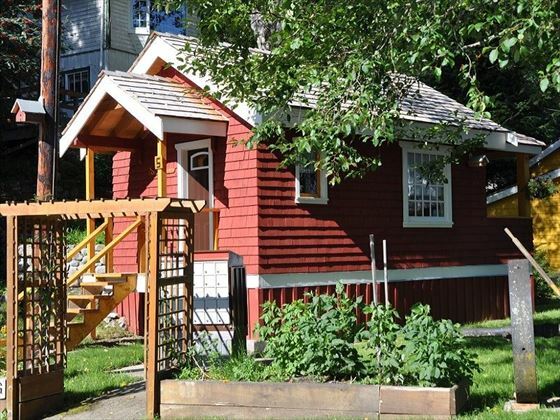 Telegraph Cove is a small, picturesque village tucked away on the stunning eastern cost of northern Vancouver Island. One of the last virtually untouched areas in the North American Continent, this is a glorious, unique retreat for those seeking a secluded environment with a magnificence of wilderness and wildlife adventures to immerse in. 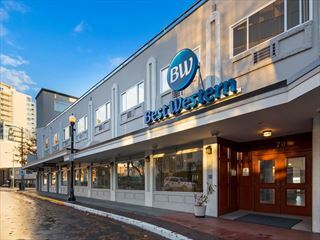 One of the last boardwalk settlements left on Vancouver Island, the accommodation here embraces the historic and unique architecture, whilst infusing modern décor and pampering amenities for a relaxing stay. This property is ideal for a range of holidays, including intimate couples’ breaks, adventure-filled family holidays and fun groups’ getaways, with the unique lodge’s accommodating between two and ten guests. There’s a fantastic choice of cuisine here, with signature dining venues serving a sumptuous selection of fresh, local seafood dishes as well as unique international cuisine. You can also bask in mesmerising ocean views as you sip on gourmet coffee and delight in sweet treats in the coffee shops. During the summer months, the village’s lovely little bay bustles with whale watchers, fisherman, boaters, campers and kayakers. Telegraph Cove is a gateway to the largest marine park in BC, and there’s a splendid array of unforgettable adventures and activities to enjoy, including Grizzly Bear Watching excursions in Knight Inlet, as well as Whale Watching tours with the opportunity to see killer whales, humpback whales, dolphins and other marine life. There are also exhilarating Ocean Kayaking tours, an Orca Camp, world-class temperature diving, a Whale Interpretive Centre and relaxing guided or non-guided fishing tours to delight in. 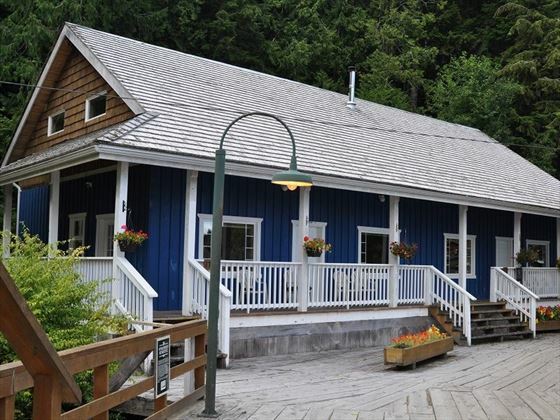 The Resort is set in a lovely village named Telegraph Cove, located on the eastern coast of North Vancouver Island; this stunning area is adorned by amazing ecosystems, prolific scenery and phenomenal wildlife, and there are some wonderful hikes, trails and coves to explore. The Broughton Archipelago, the largest marine park in British Columbia, is within close reach and offers a multitude of sheltered waters, secluded inlets and glorious vistas of towering coastal mountain peaks. Abundant wildlife and stunning, prolific scenery make Telegraph Cove one of the finest areas for world-class eco-tourism. 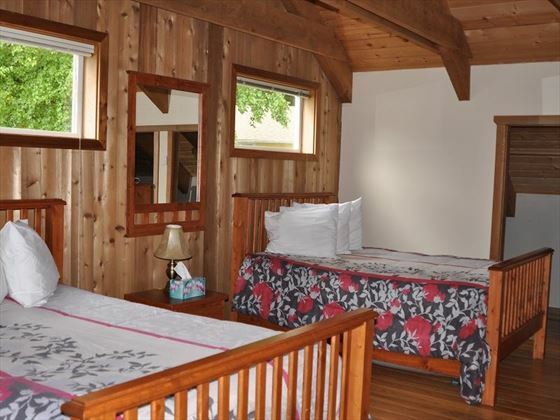 Located on or around the boardwalk, each of the 24 cabins is completely unique and charming, offering their own tasteful décor, stunning location and wonderful amenities. 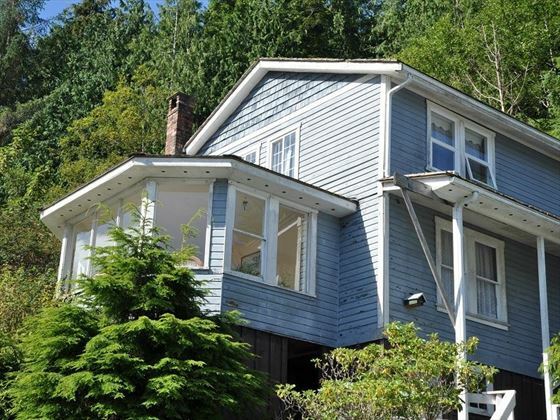 Historic and beautifully-appointed, these cabins have kept their original appeal from the past with pastel exteriors, and they’ve been blended with fresh, modern décor on the inside. 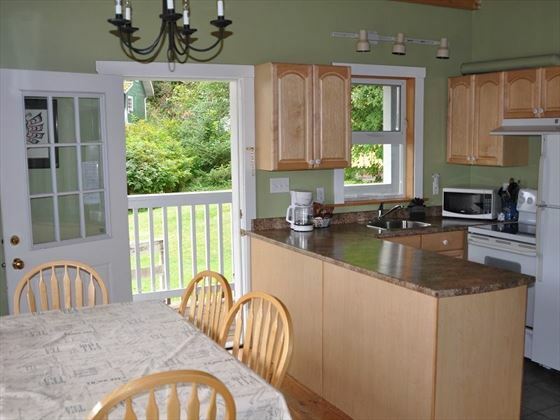 Accommodates between two and ten guests. These suites are gorgeously appointed with contemporary, airy décor featuring cool wooden tones and white furnishings. 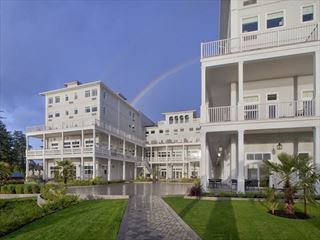 Offering a gorgeous location over the water, they feature mesmerising vistas of the marina, boardwalk and ocean. 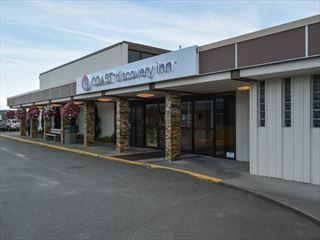 A heightened level of amenities and plush décor guarantee a comfortable and stylish abode for your stay. Nestled at the top of the hillside, these stunning rooms are set overlooking gorgeous views of the cove. Appointed with luxury furnishings, sumptuous décor and pampering amenities, these brand-new rooms make for an incredible stay in BC. You can enjoy the common viewing room in the central atrium, where hand-crafted stained glass doors open up to a beautiful wildlife gallery of paintings and art created by the locals. These popular, ambient restaurants serve a wonderful selection of West Coast cuisine, specialising in fresh, flavourful, locally-sourced seafood; Specialities include the seafood linguini, fisherman’s platter, fish and chips, cove seafood chowder and a unique salmon BBQ. You can also tuck into non-seafood dishes, including steaks, pastas and Greek cuisine, as you enjoy stunning boardwalk views. The oceanfront setting is perfect for an intimate, romantic dinner for two and for larger groups too with a relaxed setting. You may catch sightings of some incredible wildlife, including bald eagles, great blue herons and river otters. Set by the hotel’s main entrance, The Coffee Shop is a lovely, welcoming café offering a delicious selection of fresh speciality coffees, partnered with an assortment of home-made snacks including cinnamon buns, sweets, wraps and sandwiches. 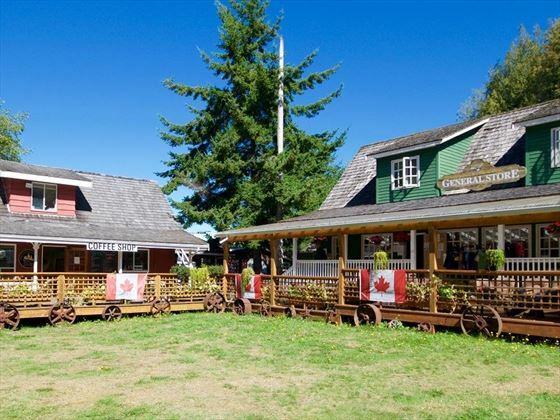 Situated at the end of the boardwalk, the Cove Coffee Company is a great spot to admire breath-taking scenery of the Johnstone Strait as you indulge in freshly baked goods, refreshing ice cream and gourmet coffees.